GMR group, one of the fastest growing infrastructure enterprises in the country has six highway projects across India with each highway stretch of 200 Kilometers. In managing the highway stretches, GMR group employs multiple patrol vehicles and ambulances for road assistance and emergency response. It is also mandatory for private highway management companies like GMR group to comply with Government regulations on monitoring safety and security on the highways and providing an audit-able trail. So an advanced GPS tracking solution is needed. GMR group leverages AssetTrackr’s advanced GPS tracking solution to monitor their Emergency Response Units (ERU) and direct the nearest unit to accident sites. Each ERU comprises of a Patrol vehicle, Ambulance, Sweeping Vehicle and a Towing Truck. GMR operations center monitors these units centrally using AssetTrackr vehicle tracking solution. A map-tiles view shows the locations of all these units on a central monitoring console. When an emergency call is received from a calling booth (spaced every 2 KMs), the software automatically identifies the location and the nearest Emergency Response Units (ERU). The road assistance vehicles are required to continuously patrol the highways at a speed not exceeding 30kmph, so they can report any accident or vehicle breakdown event. 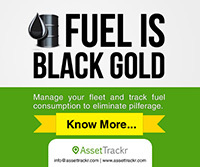 AssetTrackr’s gps tracking solution allows setting the overspeed limit on these vehicles. Any vehicle exceeding the Over speed limit will be flagged and the control unit alerted. This ensures there is no vehicle exceeding the prescribed speed limit. AssetTrackr’s Poly fence feature is used to create virtual boundaries to track and notify the central control room when a vehicle crosses the highway perimeter. This in turn guarantees there is no misuse of vehicles by individual drivers. In addition, daily report on vehicle activity (like idling time, parked duration etc.) provides information on the time spent by the patrol team in clearing highway obstacles or responding to emergencies. “The solution has been in place for over 10 months and has enabled us to provide emergency services effectively. 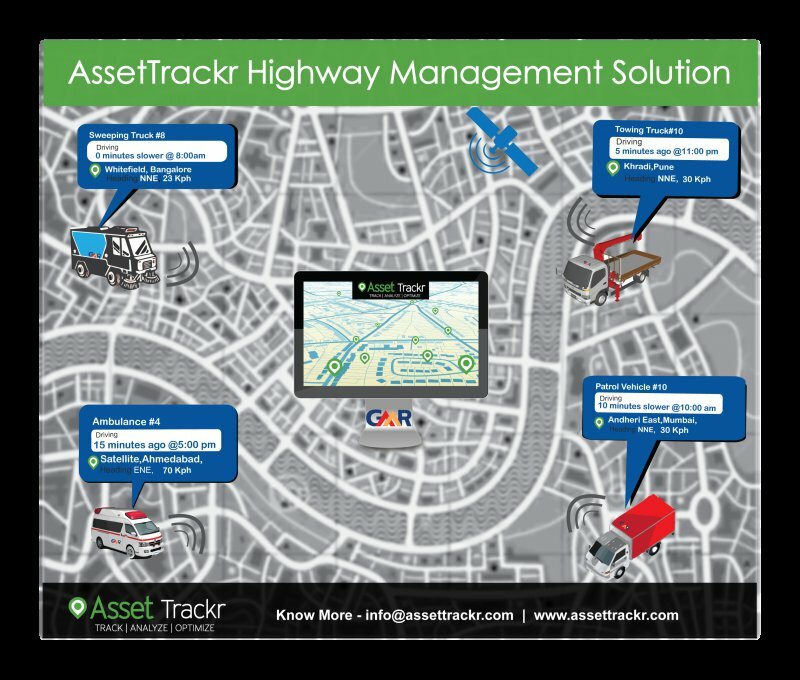 “AssetTrackr solution is robust and their service has been excellent” –Rajesh Mandavalli, GM, GMR Group. “AssetTrackr is proud to be associated with GMR in providing a community service initiative in keeping our highways safe”— Ashok Yerneni, CEO, AssetTrackr. 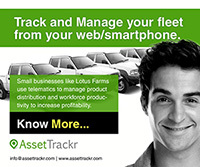 The AssetTrackr solution comes with a web based access to their hosted service on the Cloud. The solution provides fleet management real-time GPS tracking of the entire vehicle cluster, grouping them by regions for easy manageability and provides advanced features like landmarks and Geo-zones for setting/receiving alerts. The solution comes with a user friendly web interface and a smartphone application for anytime, anywhere access. GMR Group is one of the fastest growing infrastructure enterprises in the country with interests in Airports, Energy, Highways and Urban Infrastructure sectors. Employing the Public Private Partnership model, the Group has successfully implemented several iconic infrastructure projects in India. The Group also has a global presence with infrastructure operating assets and projects in several countries including Turkey, South Africa, Indonesia, Singapore.